In Washington, You Can Register to Vote on Facebook. Could Voter Registration Go Viral? What’s better than an “I Voted” sticker? A Facebook app for voter registration. In 2008, Washington became one of the first states to let its residents register to vote online, via a page on the Secretary of State’s website. 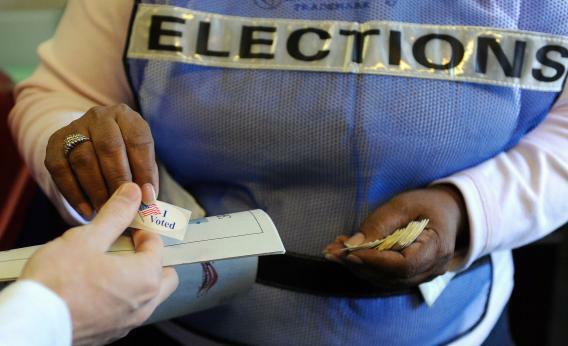 Now it will be the first to let voters register on Facebook, the Associated Press reports. The state’s Facebook app for voter registration, designed by Microsoft using Facebook’s development platform, is expected to launch later this week. Those who sign up will see a screen from an official state website embedded in their Facebook page, with some of their basic personal information already filled in based on their profile. The additional personal information they enter will be collected by the state, but not by Facebook. “This is a great way to push the use of our online registration system, especially for younger folks,” the state’s codirector of elections told the National Journal. An announcement of the initiative on the Washington State Elections Facebook page has drawn mixed reactions so far. But from a technological perspective, this isn’t much different than any other form of online voting. Facebook knows how to run a secure site, and if the company says it won’t collect users’ information from this initiative, then it won’t—violating users’ trust on a project like this would be disastrous PR. What makes the initiative interesting is the social dimension. The viral Kony 2012 campaign showed the enormous potential for do-good causes to generate enthusiasm among young people via social media. Voter registration probably won’t get people quite that excited, but it certainly seems possible that being able to share the news that you’ve registered to vote on Facebook—and nudge all your friends to do the same—will add a little extra incentive to go ahead and do it. It’s like the 21st-century version of that little “I Voted!” sticker that you get when you cast your ballot on election day.